Sewing bloggers are a great source of inspiration and if you’re a newbie seamstress, you can pick up some fab ideas from them. Here’s my pick of the best sewing bloggers that you should follow – if you don’t already. If you have any other suggestions, add them in the comments below! 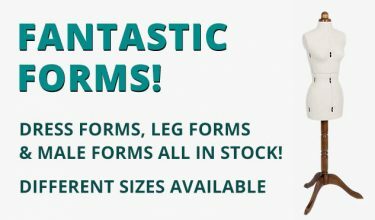 Why not read about our family-run history or head to our online shop for your favourite sewing supplies and haberdashery? 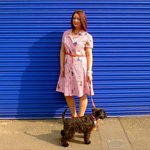 Blogger Roisin’s mix of witty writing and beautiful dresses make Dolly Clackett one of my go-to blogs if I’m in need of some ideas of what to make. 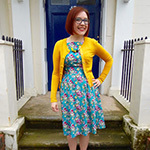 The bright prints she uses in her makes and the fact that most of her sewing is made up of fifties style fit and flare dresses is the reason I regularly read her blog. Roisin takes her inspiration from the By Hand London girls and Christine Haynes, so if you love them too, then this blog is for you. 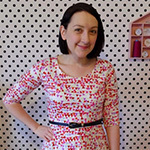 Londoner Fiona makes a mix of handmade clothing and set up her sewing blog about three years ago to track her sewing progress. 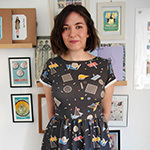 She is also a regular pattern tester for sewing brand By Hand London and was one of the first people to make the indie sewing company’s Zeena dress in two lovely blue prints. Recent blog posts include sewing her own activewear! If you’re looking for a sewing blog with lots of variety then What Katie Sews is one you won’t want to miss out on. The Londoner, who also runs blog, What Katie Does, set up her blog in an attempt to build a wearable, everyday wardrobe. Katie likes to sew her own basics with a few special makes thrown in and her more neutral prints are what attracted me to the blog in the first place. 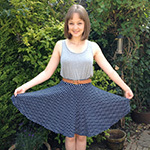 Amy is a girl after my own heart – a fan of printed dresses and Liberty fabrics. Her blog, Almond Rock, features her favourite makes as well as the lovely fabric she chooses to make them with – her Eiffel tower printed dress is definitely worth checking out! Amy lives in Leeds and is also the editor of craft magazine Love Sewing, so you know she’s got some great advice. Walthamstow blogger Karen is a firm believer in her ethos, ‘Creativity is contagious’ and Did You Make That? 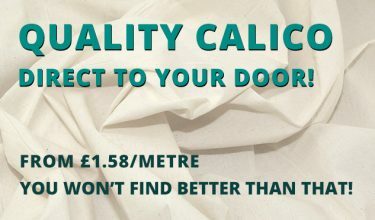 is one of leading UK sewing blogs. 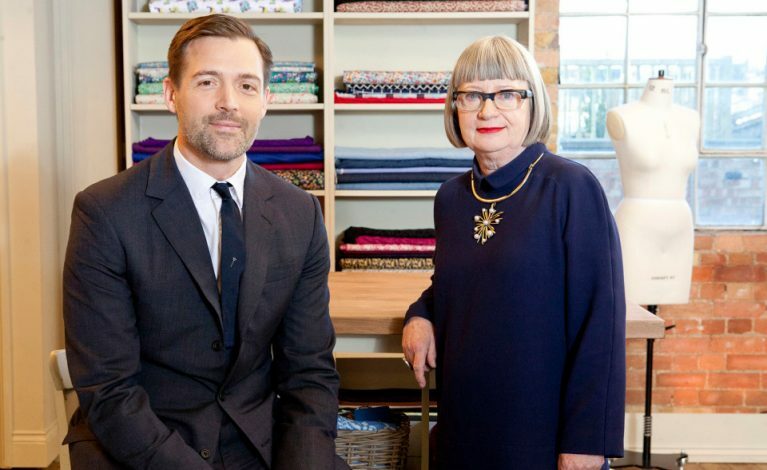 Recent posts include Karen’s colour inspiration and fabric shopping in Berlin, but she also champions the indie sewing companies as well as her area of London, Walthamstow. Give Did You Make That? a follow if you’re looking for a great read! 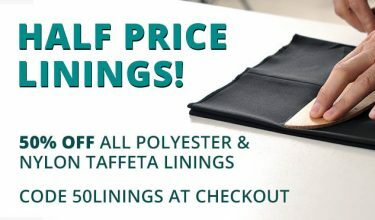 Are there any sewing blogs you think we should add to this list? Let us know in the comments below! Aneira Davies works as a journalist and has an unhealthy addiction to Pinterest. When not writing, you can find her behind her sewing machine, making a new dress or two to add to her collection, or getting lost in a Jane Austen novel. Follow her on twitter @aneiradavies or on her blog, www.andshemade.co.uk.